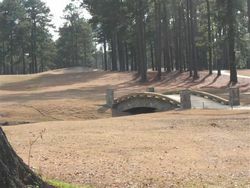 Nature Bridges designs and constructs three free-span golf course bridges for the United States Army in Fort Gordon, Georgia. 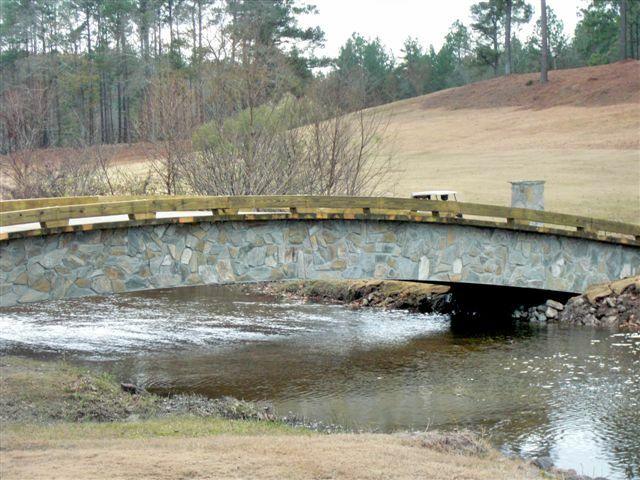 These newly constructed golf course bridges add to the serene landscape of Gordon Lakes Golf Course. Nature Bridges (naturebridges.com), a leading bridge company that specializes in construction of timber bridges and pedestrian boardwalks through all types of environments, announced today it has completed the design-build of three golf course bridges for the United States Army at Gordon Lakes Golf Course in Fort Gordon, Georgia. The completed project consists of three free-span golf course bridges in various locations throughout the Gordon Lakes Golf Course. The bridges measure from 40' to 62' in length. All three bridges are constructed with glue lam free-span girters with 4 x 12 timber decking. The exposed faces of the glue lams are flagstone façade to give the beautiful appearance of stone bridges. These golf course bridges create appealing landscapes with long-lasting practicality for any environment. Located on Fort Gordon near Augusta, GA, Gordon Lakes is a 27-hole golf facility. The original 18 holes were designed and built in 1976 by Robert Trent Jones, Sr., the world renowned golf course architect., It truly is a championship layout which has hosted the All Armed Forces Championship and the All Army Golf Trials. In 2001, the golf club opened its newest 9, Pine View, designed by world renowned Ault & Clark. The same design team closed the original front 9, Island View, in 2003, totally renovating and modernizing it. The Island side opened to rave reviews in the fall of 2004. The Lake 9, Lake View, has been renovated and reopened in the fall of 2006. "We are proud to have had the opportunity to complete this project for the United States Army" said JD James, president of Nature Bridges. 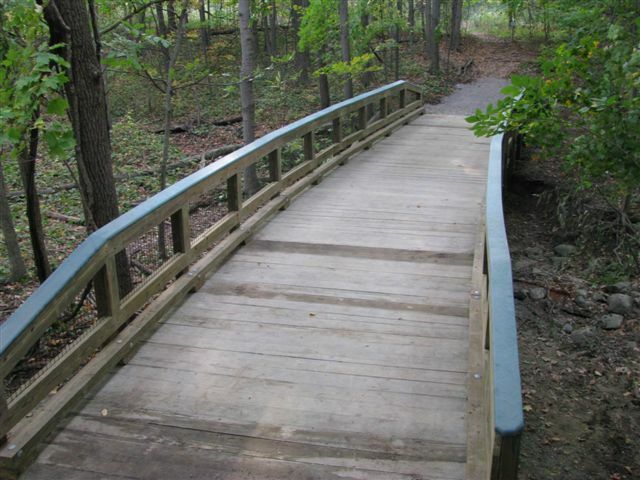 "These newly constructed golf course bridges add to the serene landscape of Gordon Lakes Golf Course." 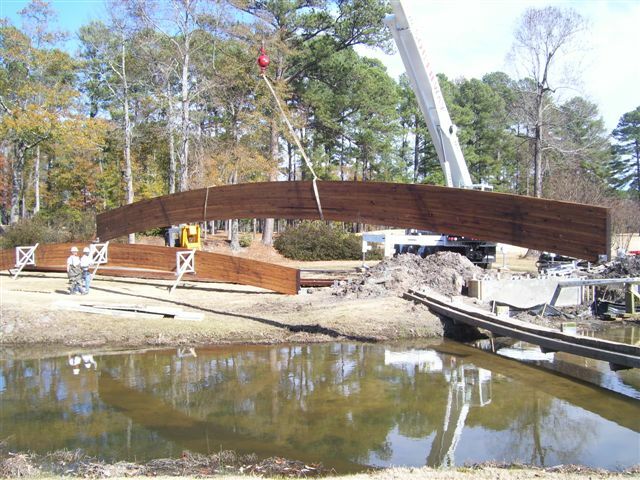 Located in Tallahassee, Florida, Nature Bridges is a leading bridge company that specializes in top down construction of timber bridges and pedestrian boardwalks through environmentally sensitive areas. The company also offers a wide variety of development amenities including golf cart bridges, architecturally-designed trellises, fencing, outdoor pavilion projects, decks, docks, timber retaining walls, timber curbing, guardrails, and roadside walkways. For more information, contact Nature Bridges at (850) 385-3234 or visit naturebridges.com.